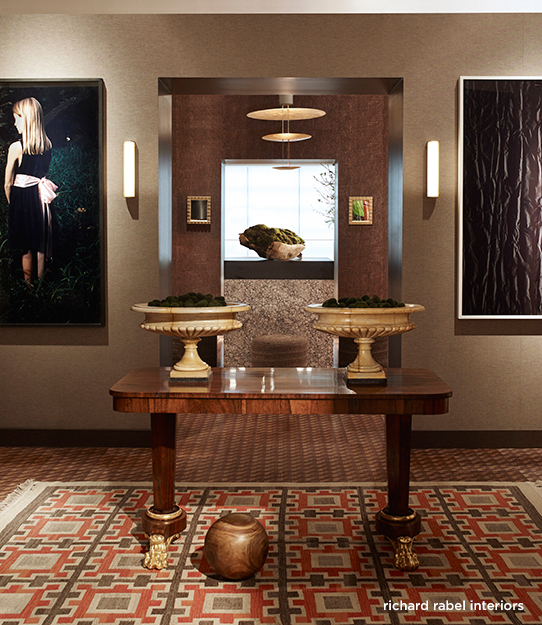 New York Interior designer and art advisor Richard Rabel was invited, alongside other top designers such as Sandra Nunnerley and Bunny Williams, to create the entry foyer and gallery to the 2016 Sotheby’s Designer Showroom. 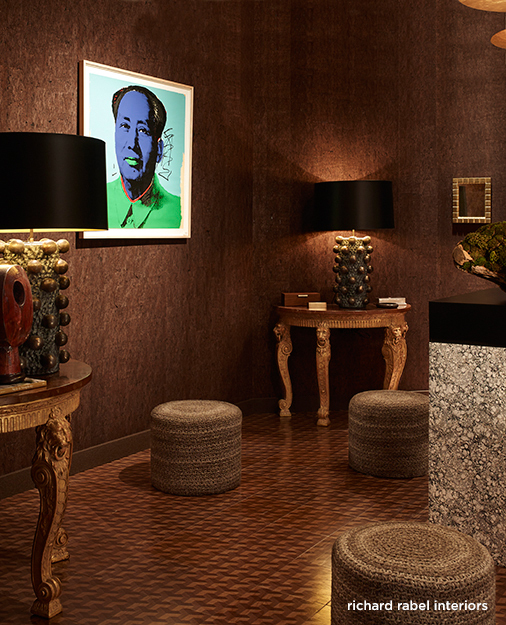 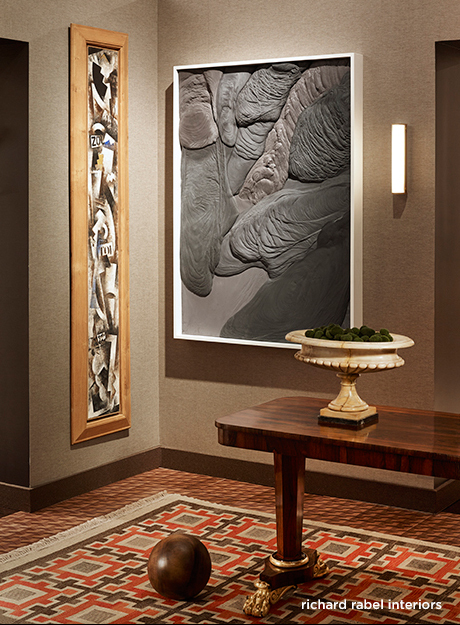 A 13-room, full size, apartment was custom built on the 5th floor of their world headquarters in New York City to feature the creative work of 12 interior designers whose mission was to select property from the Sotheby’s coffers, follow their own vision and aesthetic, and install finished contemporary rooms using the selected art and the designer’s own property. 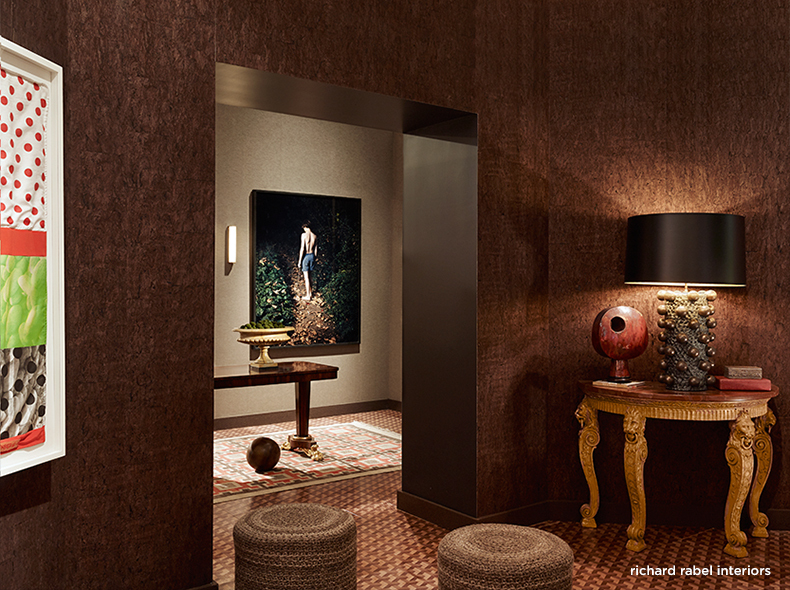 The inspiration for Richard’s rooms at the Sotheby’s Designer Showhouse was drawn from the Italian late Renaissance/early Baroque periods. 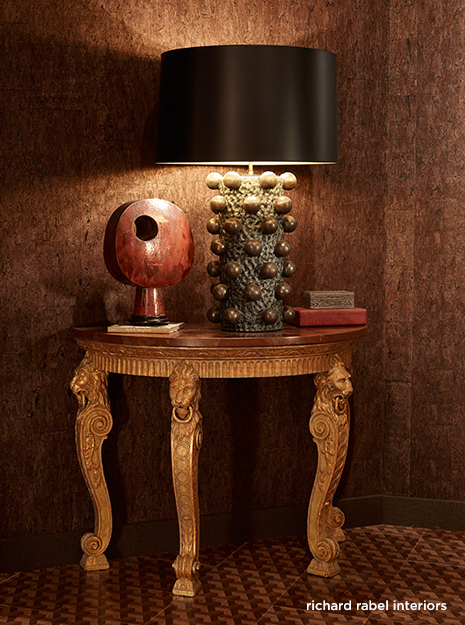 While the use of disparate materials like marble, onyx and semi-precious stones on the floors and walls was in vogue then, today Richard uses contrasting materials to fashion his rooms: chocolate covered cork and flaxseed linen on the walls, mink colored, wool wrapped baseboards, Renaissance pattern wood tiles on the floors and an oversized marbleized pedestal to anchor the space. 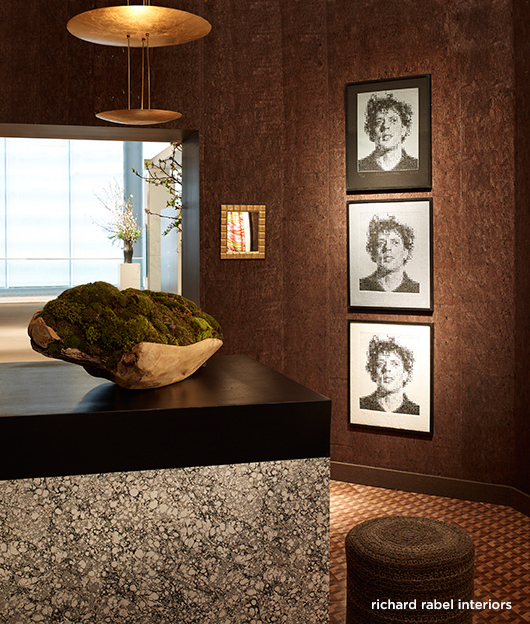 Richard is honored to have been selected to participate in the Sotheby’s Designer Showhouse and to know that Sotheby’s sees his work as an interior designer and art advisor befitting their role as purveyors of great art. 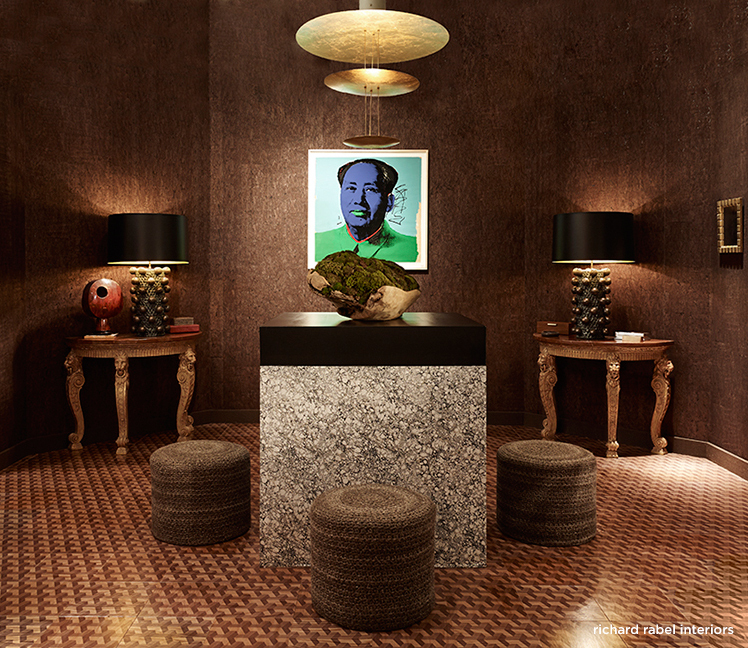 See more, including the designer’s renderings of the pre-installed rooms at the Sotheby’s Designer Showhouse.